Tetris is a game full of twists and turns. Everything from how you rotate a Tetrimino to what you decide to keep in your Hold Queue matters. By taking advantage of every move at your disposal, you can grab the boost you need to make it through Marathon Mode, or take down opponents in competitive multiplayer. One fantastic, yet often overlooked gameplay maneuver comes from how you drop your Tetriminos into the Matrix. Did you know you have the option of slowly dropping Tetriminos into the Matrix, as well as Hard Dropping them instantly? Again, this may seem like basic knowledge to some, while others will have no idea there were other options. I bet there are some details behind Soft and Hard Drops that some long-time fans might not even know! So, let's break down what makes each move special, and how a combination of both could boost your success in a big way. 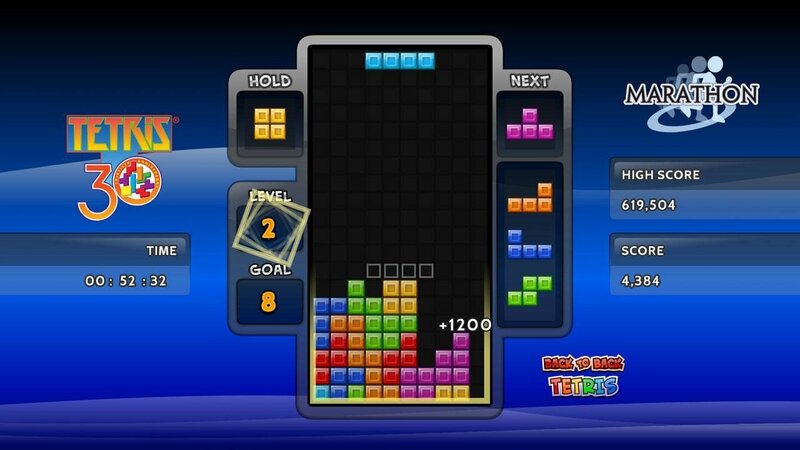 A Soft Drop can be the perfect way to kick off Marathon Mode in Tetris. Contrary to what some think, a Soft Drop is not what happens when you let a Tetrimino fall at its own pace. A Soft Drop requires input from the player. By holding the downward direction on your controller/joystick/keyboard, you can force a Tetrimino to fall into the Matrix a bit quicker than it would on its own. This allows you to speed up the gameplay a bit, while also still allowing you to rotate the Tetrimino into a position where it fits best. For those who start out on lower level gameplay, a Soft Drop is a great way to speed things up. It quickens the pace of the game, while still letting you figure out where you want the Tetrimino to go. Not being locked into a single position is great for figuring out a last-minute twist for better Matrix placement. Using a Soft Drop also gives your score a boost over the Tetrimino's normal falling speed. If you're aiming to rack up points, a Soft Drop is a great way to start out! The Hard Drop is great for Sprint and competitive multiplayer modes. While the Soft Drop gives you more speed, a Hard Drop takes things in a much more serious direction. Instead of pressing down on your controller/joystick/keyboard, you press up or the space bar to activate a Hard Drop. Just make sure you've completely figured out where you want your Tetrimino to fall before you go for a Hard Drop. Once you press that button, there's no going back! A Hard Drop locks your Tetrimino into your chosen position on the Matrix. You'll see the Tetrimino instantly go from the top of the Matrix to the spot you chose. There's no rotating on the way down. The Hard Drop is for those who are 100% confident in where they want to place their Tetriminos, and are looking for an even speedier experience. It's certainly a high-risk way of playing, but it's high reward as well. Not only does it speed up the gameplay more than a Soft Drop, it also adds even more points to your score. Combine Them Both You are free to choose a Soft or Hard Drop with each Tetrimino which comes into play. It's up to you to decide how you want to play. Depending on how much of the Matrix is filled and how slowly Tetriminos are falling, one option might be better than the other. Hard Drops are great for blasting through the early stages and racking up big points. Meanwhile, Soft Drops can be fantastic for giving you a bit more time to figure out placement, and allow you to pull off expert moves like the T-Spin. A combination of both will definitely benefit you the most, and using each at the right time can help take your Tetris experience to new heights! Want to learn more? 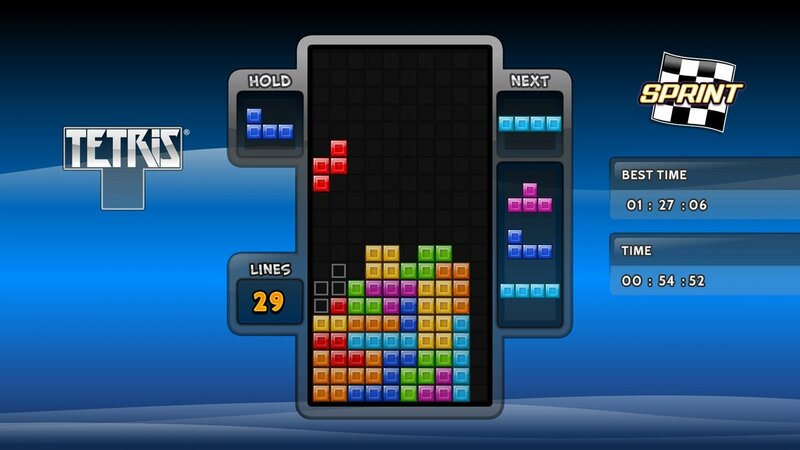 Why not practice your drop skills right now with some free Tetris on Tetris.com?